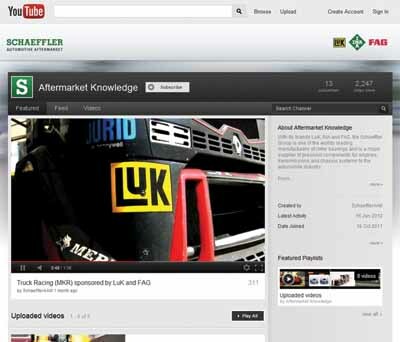 Schaeffler Automotive Aftermarket (UK) Ltd has released a range of technical videos on YouTube. The company – renowned for its LuK clutch, INA tensioner and FAG wheel bearing brands – has made available a series of videos about some of its market-leading products on the site. Included in the first of a series of technical pieces are details of the FAG Repair Insert Unit (RIU), a pre-assembled wheel bearing component for repairing defective truck wheel hubs, which highlights the range of applications and the benefits of the repair solution. Other videos include advice on LuK Dual Mass Flywheels (DMF) which set a new standard for drive train noise insulation and vibration damping when launched by the company and INA Over Running Alternator Pulleys (OAPs), which are an integral part of the Front End Auxiliary Drive system (FEAD) and are designed to absorb vibrations and fluctuations in the FEAD. The FAG Repair Insert Unit (RIU) is one of the most safety critical components fitted to commercial vehicles today and the range has gone from strength to strength in the CV aftermarket since it was introduced a few years ago. Schaeffler performs extensive testing during manufacturing to ensure high standards, and also compares the quality of its bearings with competitors. 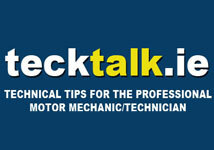 The LuK, INA and FAG brands are all backed by technical support and repair installation tips through the company’s industry leading internet site RepXpert (www.RepXpert.com) and supported by a technical hotline; UK Tel: 08457 001100; Ireland Tel: +44 (0)1432 264264.